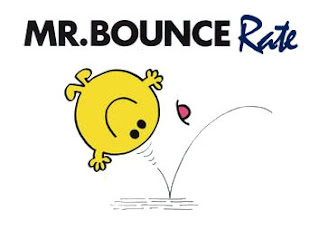 Bounce rate which means the maximum number of people visited your website but did not proceed further to visit any site posts/article and pages. There are many sites on the internet which determines your Website Bounce rate. We should minimize it as we can to build up quality of visitors on our blog. Keeping Bounce rate low will enjoy you so many benefits like Traffic, Search engine optimization (SEO), high amount of blog readers, exposure, boost in Social media and many more. Below are the top 10 Bounce rate cutting tips and tricks. Lets have a look! 1. Reduce your Blog/website Load Time. 2. Make killer Post titles and summarize your article with Read more links. 3. Awesome website or Blog Template. 4. Interlinking to other articles on your blog via single post. 5. Use of Search Box in your blog is must. 6. Do not make your website as a fish market of advertisements. 7. Write unique and quality posts with proper categories. 8. Place random and related posts widget like Link within. 9. Easy to find and site navigation to reduce Bounce rate. 10. Do not force your visitors to do anything to achieve something on your blog. As we all know that traffic is must. Our blog did not survive without traffic. Audience plays an very important part in our blogging field. So its very important to boost up blog or site traffic. Put unique article in your blog and get good feedback's. This point is very important, you have to improve your SERP's. As we all know Google love uniqueness, so always write attractive post and Google will rank it on top pages and surely you will get huge popularity. Day by day you have to improve your search engine optimization. If your blog has able to grab huge audience than this is a good news for your website. Page rank is updated within 3-4 times in a year. Try to get high quality backlinks for your blog. Social media is very vast concept, as we know that social media is used for promotion and advertising. You can promote your stuff on various social networking sites like Facebook, Twitter, Google Plus, Stumble upon etc. If you want to get huge quality dofollow backlinks than you have to comment on those dofollow blogs. You can also offer some services to your readers so that they can more interact with you.